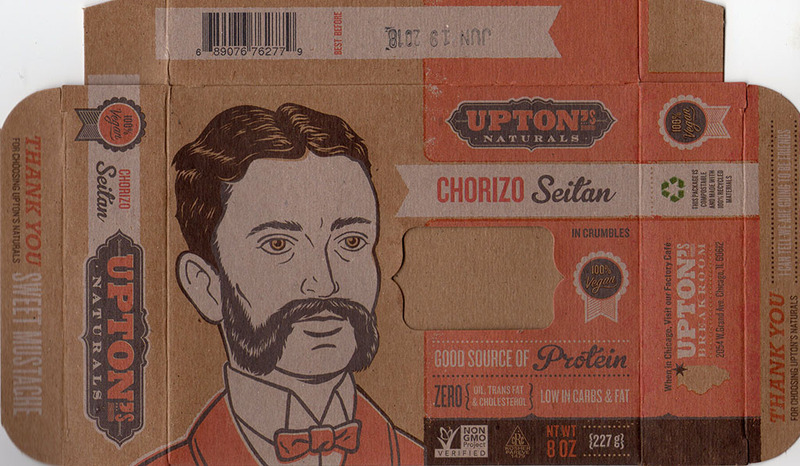 Is Upton's Naturals Chorizo Seitan any good? Yes! 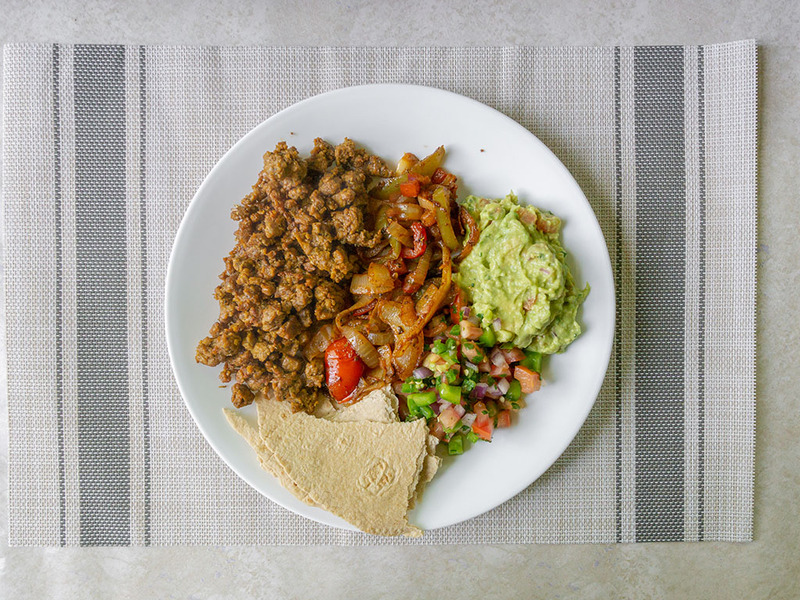 Provided you’re a fan of seitan’s flavor and texture to begin with, this is a gentle twist on the popular meat substitute. The chorizo flavoring is quite mild, so you might want to add a little more seasoning based on your own preferences. 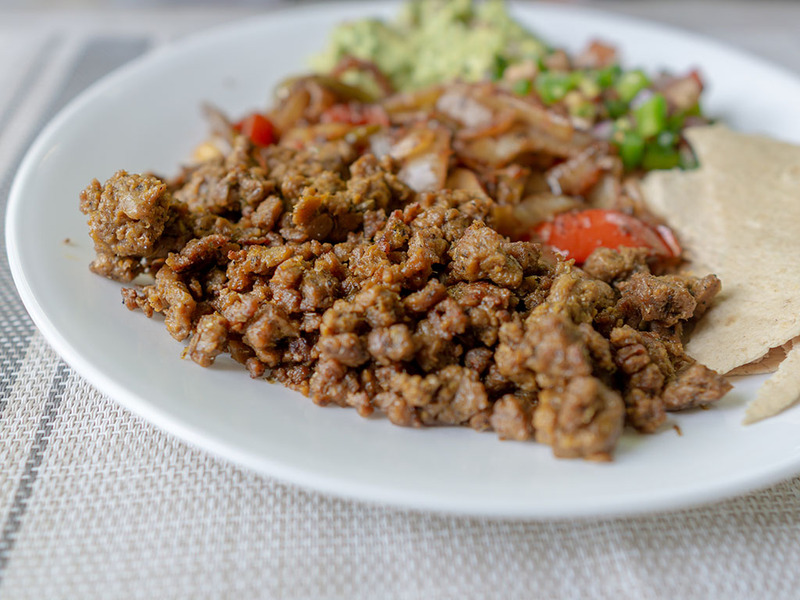 Upton’s Naturals Chorizo Seitan offers a fun twist for those who love this meat free substitute. The seitan is flavored with guajillio, cider vinegar garlic, oregano, and cumin – but only mildly so. This means you might want to amp up the pre-packaged flavors with your own particular spice mix, seasoning or hot sauce – I know I did personally. That’s not to say the flavors lacking per se, but I like a little more fire and flavor to shine through the natural seitan taste which can be strong. Beyond that this is a pretty routine seitan product. 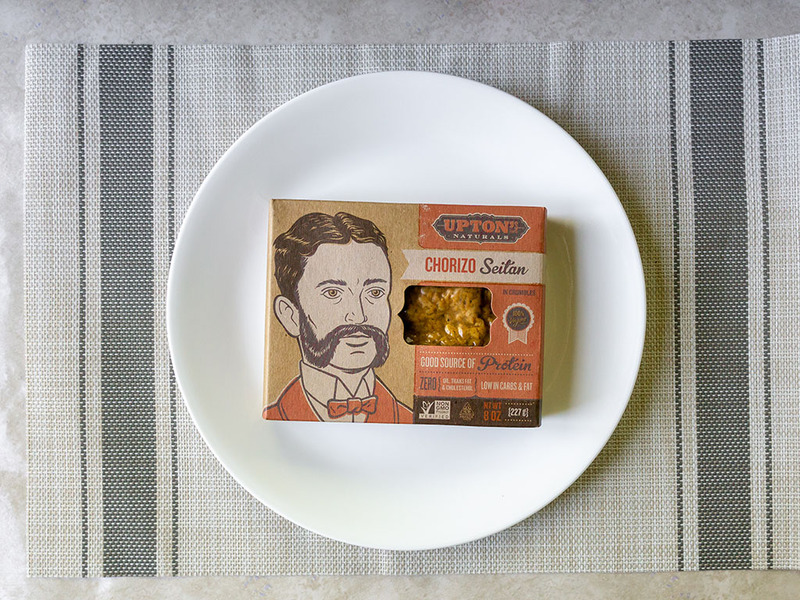 Like all Upton’s products it’s beautifully packaged, so might help first timers make the leap to trying this particular meat substitute; if that happens to be you here’s a quick cheat sheet: seitan has been around for hundreds of years in Eastern cuisines. It’s essentially wheat gluten, and has a strong taste therein. Nothing unpleasant, but maybe an acquired taste for some. Inside the pretty packaging the seitan comes vacuum sealed in one plastic bag. That means once you open this chorizo seitan you’ll need to cook it up there or then, or within a few days. The packaging says the product is fine for five days after opening. Nutritionally this is much of a muchness – its seitan – which is largely quite healthy. To cook this seitan you’re simply reheating the product in truth. You can either bake or pan fry, and if you choose the latter it takes only a minute or two to cook up. Be careful not to overcook though, as the seitan can toughen up quickly. 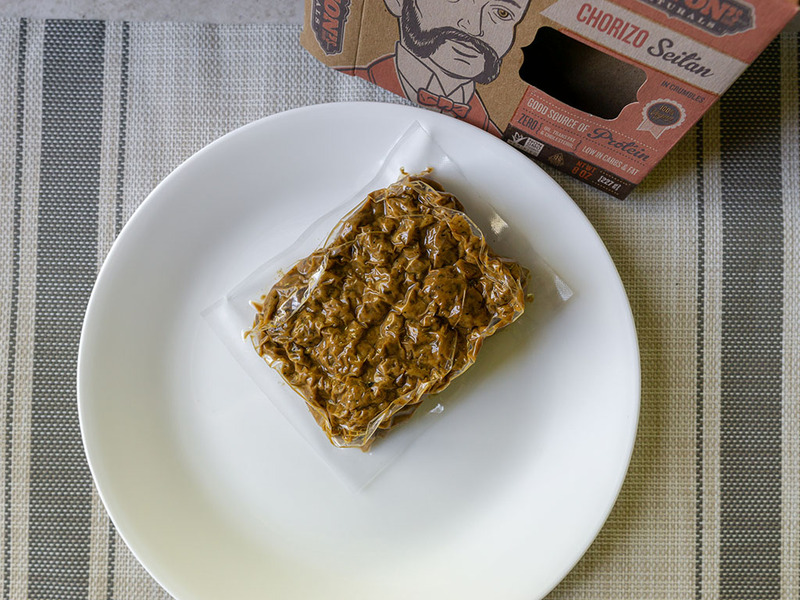 Once you open the packet and throw your chorizo seitan into the pan, you can begin to break it down a little. Without getting out a sharp knife though, you’ll probably not go much further than small bite sized pieces. If you’re looking for a ground meat consistency, I’d look elsewhere. My own favorite is MorningStar Farm’s Crumblers. I chose to cook these for tacos with with a side of skillet fajita veggies, street taco tortilla, pico de gallo and guacamole. 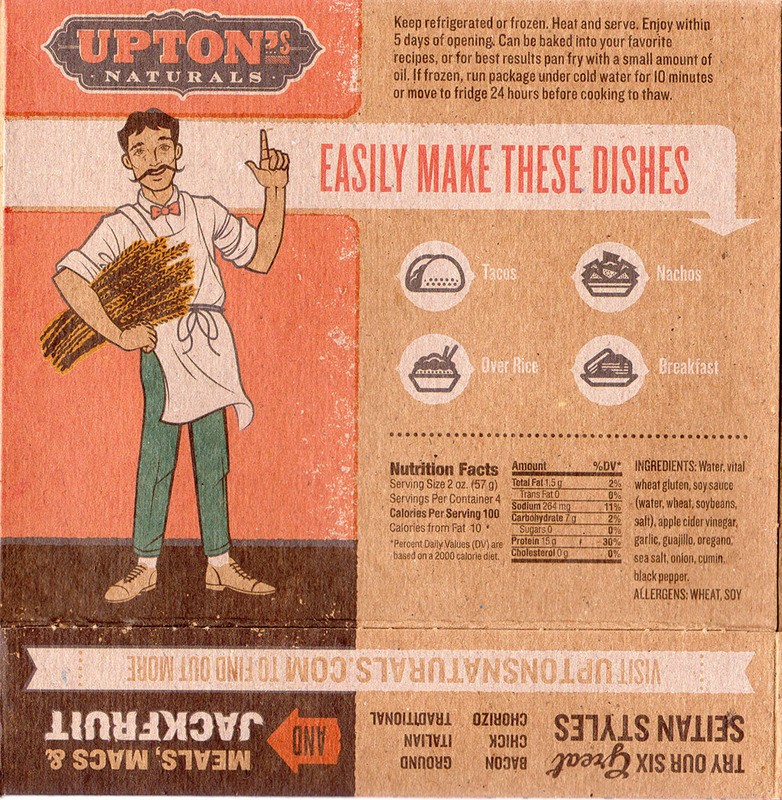 Upton’s Naturals Chorizo Seitan – what’s a fair price? The best price I have seen to date is $3.79 at my local Natural Grocers. This is a decent price, you’ll get two to three servings out of the packet. Depending on the price, I’d happily buy this seitan over and over.